Khaled Mishaal, chairman of Hamas political bureau, received Russian President's Special Representative for the Middle East, Deputy Minister of Foreign Affairs Mikhail Bogdanov in the Qatari capital, Doha, on Sunday evening. The meeting covered the latest developments in the Palestinian political scene, most notably the Fatah-Hamas reconciliation agreement, Israeli Judaization and settlement schemes, along with the refugees issue and the siege imposed on the Gaza Strip. The discussion further tackled the latest developments in the Middle East. Two political bureau members of Hamas attended the meeting along with the Deputy Chairman of the Middle East and North Africa Department in the Russian Ministry of Foreign affairs and the Russian ambassador to Qatar. Palestinian Authority president Mahmoud Abbas discussed with political bureau chairman of Hamas Khaled Mishaal the reconciliation file during a meeting in Doha on Monday. Well informed sources said that the discussion tackled means of implementing the reconciliation and ending the internal division in the Palestinian political arena. Hamas and Fatah recently signed an agreement by which they were committed to implement the reconciliation agreements signed in Cairo and Doha. They agreed that Abbas would start consultations on the formation of a new national unity government that would be declared within five weeks. President Mahmoud Abbas was to hold talks with Hamas chief Khaled Mashaal in Doha on Monday for the first meeting since their rival movements signed a surprise unity deal. 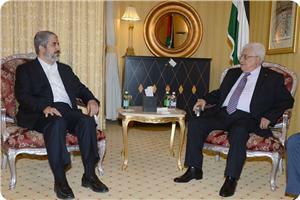 "Abbas will meet Mashaal today (in Doha) but the timing is not clear," a senior Palestinian official in Ramallah told AFP. The Palestinian leader flew to the Qatari capital on Sunday and was to meet with emir Sheikh Tamim bin Hamad al-Thani on Monday morning before attending a family wedding. He would then meet with the exiled Hamas leader who has been based in Doha for more than two years after leaving his previous base in Damascus due to the bloodshed gripping Syria. 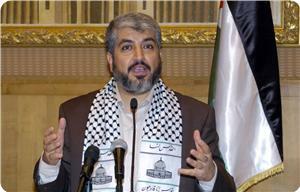 Hamas officials had said at the weekend that the two leaders were expected to meet in Qatar in the coming days. "President Abu Mazen (Abbas) may meet with Khaled Mashaal on Monday to discuss the reconciliation agreement and how to implement it," Hamas spokesman Sami Abu Zuhri said. 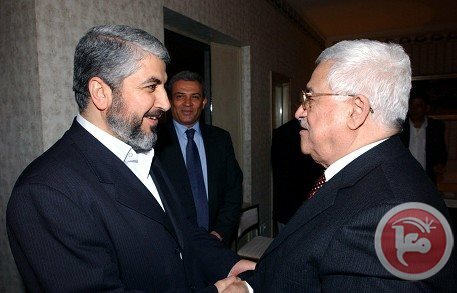 Abbas' Fatah movement, which dominates the PLO and rules parts of the occupied West Bank, has been locked in years of bitter rivalry with Mashaal's Hamas since the Islamist movement forcibly took over the Gaza Strip in 2007, ousting forces loyal to the president. Earlier efforts to broker a political reconciliation have failed, but on April 23, the PLO and Hamas announced they had reached a deal under which they would work together to form a new government of political independents. 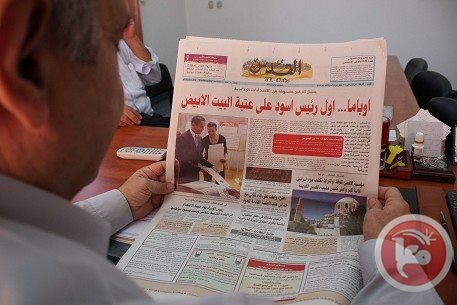 Gaza government spokesman Ihab al-Ghussein confirmed to Ma'an that the daily Al-Quds newspaper will be available again in the Gaza Strip. On Sunday, Abd al-Salam Siyam, secretary-general of the Gaza government's cabinet, said in a statement that some 3,000 PA security officers would be sent to Gaza to begin implementing the Hamas-PLO unity deal reached on April 23. Hamas will never recognize Israel and will not accept the conditions laid out by the Middle East peacemaking Quartet, according to the Islamist movement's deputy leader. Speaking late on Saturday, Mussa Abu Marzouq said Hamas, which recently signed a reconciliation deal with the Western-backed leadership in the occupied West Bank, would never agree to recognize Israel. 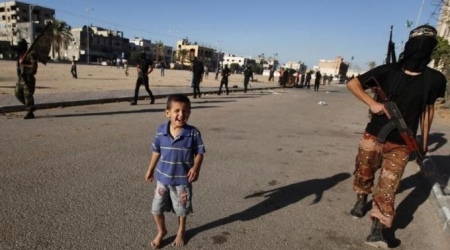 "We will not recognize the Zionist entity," he said at a press conference in Gaza City. Under terms of the deal, Gaza's Hamas rulers and the PLO of President Mahmoud Abbas are to work together to form a new unity government which will prepare for national elections. But Israel reacted furiously, saying it would not negotiate with any government backed by Hamas, effectively putting the final nail in the coffin of the latest round of US-brokered peace talks. Recognizing Israel is one of the key conditions laid out in the 2003 peacemaking roadmap of the Middle East Quartet, which brings together the United Nations, the European Union, the United States and Russia. The other two key demands are a renunciation of violence and acceptance of all prior agreements with Israel. Abbas, who is to head the new government, to consist of political independents, has insisted it will abide by all three principles. 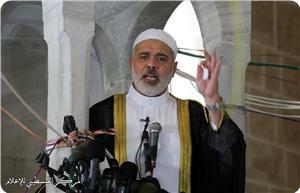 But Abu Marzouq said Hamas would never accept the Quartet's conditions. 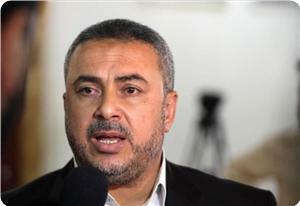 "Hamas rejects the Quartet's conditions because it denies some of our people’s rights," he told reporters. "We will always refuse any conditions that deny our Palestinian rights." He also said the question of disarming Hamas's armed wing, al-Qassam Brigades, was "never mentioned" in talks with the PLO since the unity deal was inked on April 23. "No one asked to discuss this," he said. Azzam al-Ahmad, a senior member of Fatah, which dominates the PLO, was to arrive in Gaza City on Sunday or Monday to begin consultations on forming the new government, he said. "This will be a national consensus government that has nothing to do with politics and has specific tasks," he said of the preparations for long-overdue local, parliamentary and presidential elections. Hamas would participate in both the municipal and legislative elections but has not yet decided whether it will run a presidential candidate. Hamas won a landslide victory in the last parliamentary election, held in 2006, prompting a Western boycott of the Palestinian Authority. 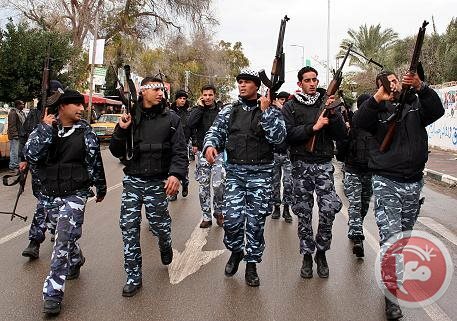 Arrangements are being made for some 3,000 Palestinian Authority policemen to join the Gaza government's security forces, a statement said Sunday. Abd al-Salam Siyam, secretary-general of the Gaza government's cabinet, said in a statement that the officers would be sent to Gaza in order to begin implementing the Hamas-PLO unity deal reached on April 23. Fatah official Azzam al-Ahmad will visit the Strip to discuss the formation of the unity government, the statement said, without specifying when the visit would take place. "Hamas and the Gaza government have made a strategic decision to move on with reconciliation and so they will do what is needed to implement the agreement," the statement added. 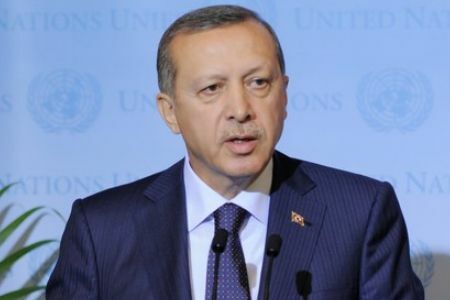 Turkish Prime Minister Recep Tayyip Erdogan will pay a visit to the Gaza Strip soon, Asharq Alawsat Newspaper said. The visit was delayed last year due to developments inside and outside Turkey, especially across the Middle East region. The newspaper cited Turkish newspaper “Star” as saying that preparations have been started to schedule Erdogan’s visit. Erdogan has a great desire to pay this visit in the light of the positive developments regarding the Palestinian reconciliation. The Turkish leader previously said his visit to Gaza would be aimed at pushing for an end to Israel's blockade on the tiny coastal enclave which has been in place since 2006. Minister of Awkaf and religious affairs in Gaza Dr. Ismail Ridwan said that Qatar vowed to pay the sum of five million dollars as a donation to the Palestinian social conciliation fund that is to be established as part of the reconciliation agreement. He was quoted by the official Rai news agency as saying on Saturday night that the pledge was made during a telephone conversation between premier Ismail Haneyya and Emir of Qatar Sheikh Tamim Bin Hamad. Ridwan appreciated the Qatari initiative and its constant support for the Palestine cause and national reconciliation, adding that Sheikh Tamim said he would exert efforts to secure financial support for the upcoming consensus government. From today, the State of Palestine is bound by international human rights standards, having brought into force five treaties, with two others coming into effect in July. The treaties include the Convention on the Rights of Persons with Disabilities, the Convention on the Elimination of All Forms of Discrimination against Women and the Convention on the Rights of the Child. The Optional Protocol to this last convention will come into force in May. Rupert Colville, spokesperson for the UN High Commissioner for Human Rights, says that this is a significant step towards enhancing the promotion and protection of human rights in Palestine. In a region where countries have a high number of reservations to human rights treaties, Palestine’s accession to the treaties and protocol is unusual in that it came without a single reservation. UN Radio, Geneva. 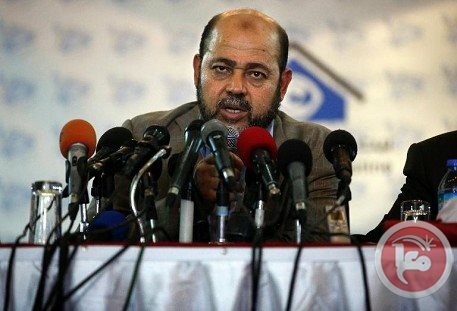 Gaza premier and deputy political bureau chairman of Hamas Ismail Haneyya has affirmed that his movement was keen on concluding national reconciliation while warning of attempts to foil it. Haneyya addressing the Friday congregation said that local, foreign and regional powers were trying to abort the reconciliation. He pointed to American threats to sever financial assistance to the Palestinian Authority and to Israeli threats to impose a blockade on the West Bank and to tighten the siege on Gaza. 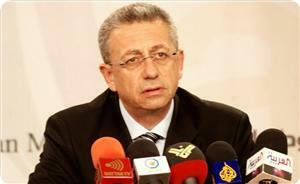 For his part, Dr. Mousa Abu Marzouk, political bureau member of Hamas who is currently in Gaza Strip, said that the government of technocrats, which would serve as a transitional government at the start of the reconciliation agreement, would work on reuniting institutions in the West Bank and Gaza Strip. He said during a meeting at the interior ministry in Gaza in which he was briefed on its accomplishment that security apparatuses in Gaza and the West Bank would remain unchanged until a new government was formed based on results of the general elections. Palestinian ambassador to Tunisia Salman Hafri has handed Friday a letter from PA chairman Mahmoud Abbas to Tunisia's president Mohamed Moncef Marzouki. Abbas briefed his Tunisian counterpart on the latest Palestinian developments mainly Israeli violations including settlement construction and Judaization policy. The letter also touched on the Israeli-Palestinian negotiation file under US mediation and the obstacles placed by Israeli occupation in this regard. 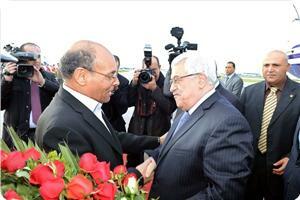 Abbas also briefed Marzouki on Palestinian national reconciliation file.